In 2015, Denmark’s leading retail company Salling Group acquired wupti.com and in 2017 Wupti Marketplace was launched. With the launch, Salling Group changed the vision for Wupti. 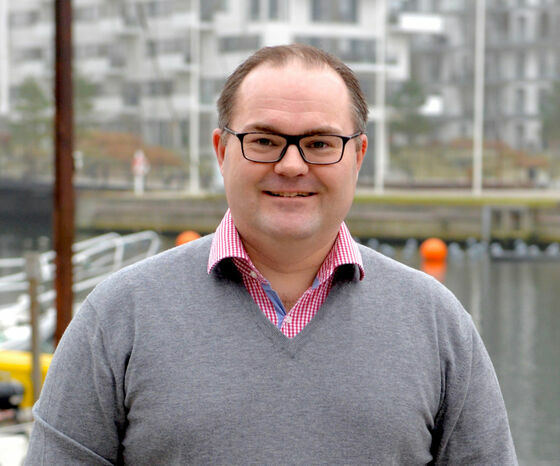 They are not satisfied being Denmark’s largest online player within sale of consumer electronics and domestic appliances – they also want to be Denmark’s largest online marketplace. With the launch of Wupti Marketplace, Salling Group takes up the battle against the foreign webshops, in particular the global marketplace Amazon. 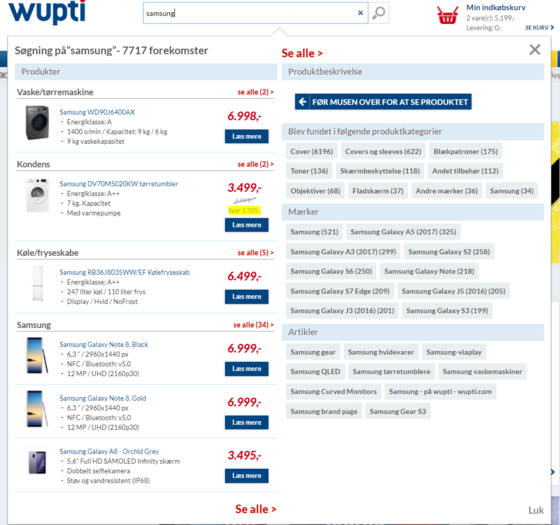 With Wupti Marketplace, Salling Group has further developed the webshop wupti.com into a marketplace which went live in June 2017 as a Danish response to the increasing e-commerce threat from foreign countries. With the change from webshop to marketplace, Wupti has extended its product range significantly and at the same time made it possible for the customers to buy products from other sellers than Wupti. This allows the customers to choose between a multitude of products and have them at the best possible price among hundreds of sellers. In the past year, and with the new vision, Wupti’s online product range has increased considerably. With an online product range of more than 275,000 item numbers and up to 200,000 visitors every day, it is important that the marketplace can work fast and easily without being overloaded. As a result, focus has been on speed, usability and navigation to make Wupti Marketplace the customers' preferred place to shop. One of the functions that is very important for the user experience in Wupti Marketplace is the search engine Elasticsearch which makes it possible to load 100,000 products in less than one second and which means that the site works both faster and easily and thus provides the best customer journey. The function Quicksearch has also made the search function easier and more flexible showing products which match what has been entered in the search field at the same time as the consumer is filling in the field. This makes it both faster and more user-friendly for the customers to find products using the search function without having to enter the entire name of the product before they are presented with it. Both functions have contributed to an increased conversion of 13% among persons who use the search function. ”We are already happy with the results we have achieved together with the many good sellers we have aboard. 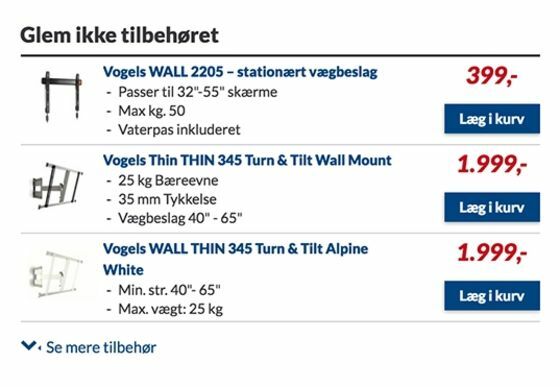 Since the launch of the marketplace initiative, we have extended our product range from 30,000 to 275,000 products, and we look forward to welcoming even more Danish sellers and with it continuing extending the catalogue of products for the benefit of our customers"
As mentioned before, Wupti Marketplace offers more than 275,000 products that are sold by more than 100 different sellers and Wupti. The marketplace sellers can add their prices and terms to already existing products in the Wupti Marketplace. If the sellers’ products do not already exist in the marketplace, new products and related specifications can be uploaded to the marketplace. In this way, all the sellers’ products are available in the Wupti Marketplace on equal terms with Wupti’s own products. The integration of product data from the many sellers and Wupti's own product system to the marketplace makes it possible for the customers to find exactly the product they are looking for. Subsequently, the customers can see and compare the prices from the sellers who offer the product – whether they are from Wupti or another seller. This allows the customers to be sure to always get the best possible terms for specific products. One of the functions which to a great extent increases the user-friendliness for Wupti’s customers and with it the conversion rate and the sale in the Wupti Marketplace is the filtering options. On each product list page, the customer can specify his/her search based on filters such as 'product groups' and 'price' and based on more specific parameters on the individual product group such as 'smart TV' or 'screen size' (40, 45, 50). Each time a customer clicks on a filter, the product readout is updated on the page to only include the products which match the selected filters. The filters are also updated allowing the user to only refine his/her search further based on filters that yield results if activated. In the Wupti Marketplace, the customers will be met by recommendations for products which are aimed at them personally via personalisation functions. In this way, the customers are presented with products which are relevant to them. This may help the customers save time and simplify their customer journey. Wupti Marketplace also uses cross-selling to remove the customers’ troubles of having to search for accessories to a selected product. 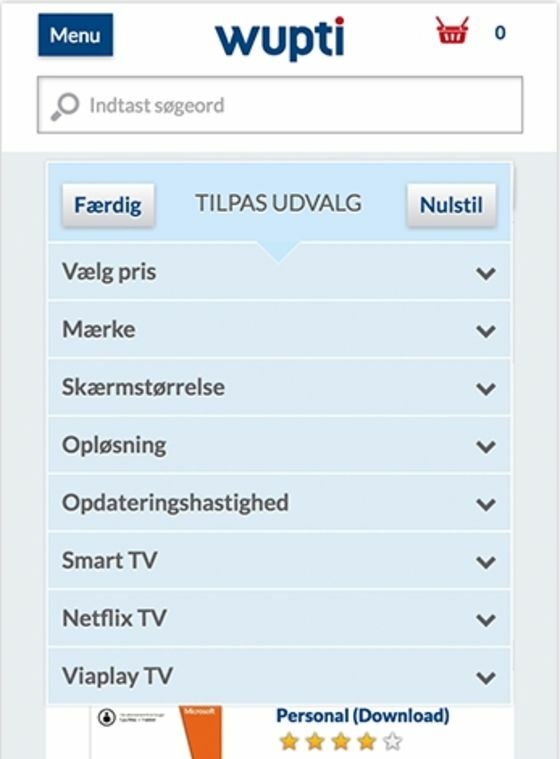 For example, on the product page for a Samsung Smart TV, the customers are informed about the related products under the headline ‘Do not forget the accessories’ such as antenna cable, HDMI cable and wall brackets.